Elliðaárdalur Valley is a lush recreational area popular with walkers and cyclists alike. 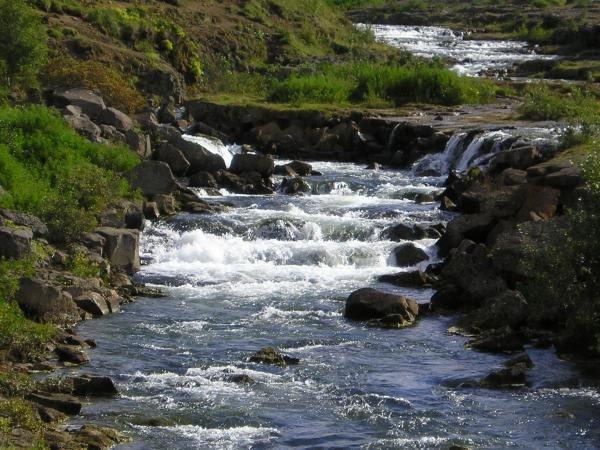 Located within the city limits of Reykjavík the valley features a distinctive fishing river populated with a remarkable number of Arctic char, salmon and brown trout. Fishing licenses are available during the summer fishing season, which is opened annually by the Major of Reykjavík on June 1st. The season ends on August 31st. Note it's also possible to fish in the nearby Elliðavatn Lake and Reynisvatn Lake.